Today's post is all about Hallmark Jewellers who have a brand new big and improved Hallmark Jewellers which is just in time for Christmas. It’s located right inside the door of the new City Square. It has been situated in this spot for as long as I can remember. The considerably larger store means new product ranges to choose from. 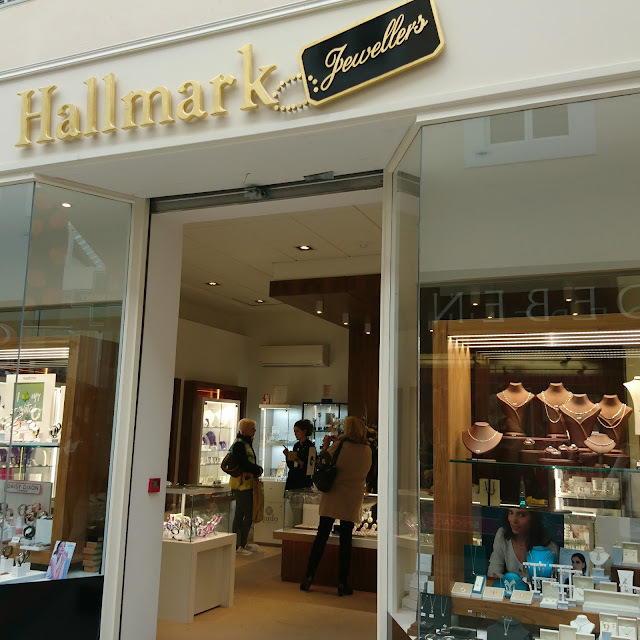 Hallmark Jewellers are now exclusive stockists in Waterford of Carat London, Chlobo, Nixon, Christian Paul. The store also includes a dedicated diamond room to allow more time to contemplate that all important ring. I have a love of jewellery and everytime i find myself in town I am gazing in the window of Hallmark. Hallmark are running an amazing service where you can go into the shop, see something you like and place is on your wishlist. Then a family member, boyfriend, husband etc can just pop in and get any item from your wishlist. Its a great way of telling people what you want but without having to do it in person like i seem to find very hard lol. Or so I'm told. How amazing are those earrings, I am obsessed with them. They would be amazing on a bride. Talking of brides, did you know that there is a dedicated Diamond room in Hallmark where you can relax and deliberate over that all important ring. Hallmark stock some amazing brands, such as Paul Costello, Chrysallis, Qudo, Kit Heath, Cristallo, Chlobo, You and thats just to name a few. It is a wonderland of amazing pieces where there is something to please everyone. From watches to earrings, to necklaces and presents for special occasions such a christenings, communions, confirmations, right the way up to weddings and anniversaries.If you are looking for something special then pop into Niamh and her team who will be more than happy to help you out and they are always so friendly. This is an amazing family run business who take care of their customers.